Help me raise money for the charities I support. At the moment I'm tackling my latest challenge: Cycling +5000 km from Kuala Lumpur to Hong Kong on a TANDEM bike (Click here to read all about it). During this challenge I want to raise money for the 5 different charities I'm visiting along my trajectory. This was the first stop on my tandem adventure. I arrived at this orphanage with my first tandem buddy Ana and we were welcomed with open arms by the kids and the people that are running this place. The kids are provided a roof over their head, food and some form of structure and education. Ana and I stayed for a few days. I took all of the kids for a ride around the blok on the tandem bike, which was a lot of fun, we played games together, spent time talking english, we ate the same food and slept on the same little mattresses just like they do. These kids are really awesome and this place really deserves some extra help since they completely rely on donations and gifts. I was staying at Salsa Hostel in Chumphon and I introduced my project to Sood the owner. He told me about the school and offered his help. He drove me all the way to the school and helped out as a translater since nobody there spoke english. The lady in the picture showed us around the school and then introduced me to all the kids that were gathered in a hall. I had to come to the front and introduce myself to the kids which was a bit of a problem since I don't speak any Thai :-). I threw in a big smile, a Thai hello and explained a bit what I was doing there and that I was gonna try and help them out. The teacher then translated for me. 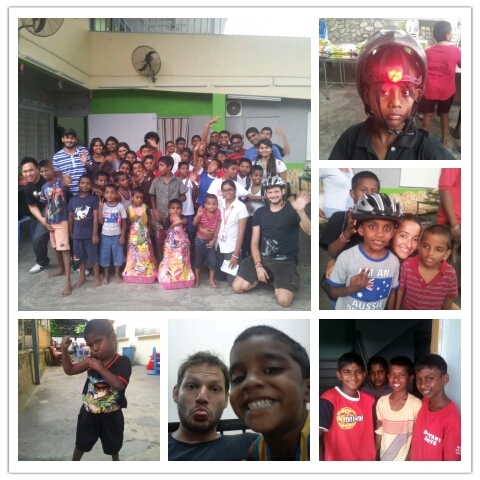 I was overwhelmed by the smiles and love I got from these kids. An unforgettable moment with goosebumps all over. Below a video of the kids after the short introduction. Our guide told us that the dorm rooms could use a bit more colour and that a whole lot of fans were broken and needed to be replaced. The project: Paint and fans for the dorm rooms will cost around $1000. H.E.L.P. 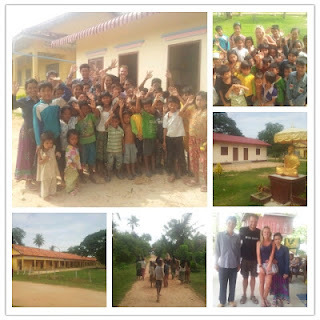 project in Cambodia. Recommended to me by Tahlia Seymour on Facebook. I got introduced by Tahlia to this little village in the heart of Cambodian rice fields just south of Phnom Penh. It's been a bit of a challenge to find it but it was all worth it. The people there are so friendly! They offered me and my tandem buddy Hannah a place to sleep, got us some food and showed us around. This village has a small library and nursery that was build with the help of Tahlia herself.. Now it's is pretty rare for Cambodians to have access to healthcare and knowledge right in their village. What I'd like to help them with is fill up their still pretty empty library with loads of interesting books and help them build a supply of medical tools and everything that's necessary in a place like that. The project: Raising money for books and medical suppllies for a value of $1000. Set up events like this with friends and followers around the world, raising money and awareness. The money will be devided over the 5 charities I visited. Organize a little tour of 10 km with your friends and other local social people in your city. Everybody's welcome. Let's make it a social event on every level ;-) People that join pay 1 dollar, euro or pound or a similar value per km (Obviously depends where you live). Now I'm looking for people that want to help me organize things. Get in touch in the comments below and I'll create an event for your city on my facebook fanpage (www.facebook.com/thesocialtraveler). The organizing buddy collects the money at the event and donates it DIRECTLY to one of the charities. The money does NOT go to or via me. I just connect the dots. 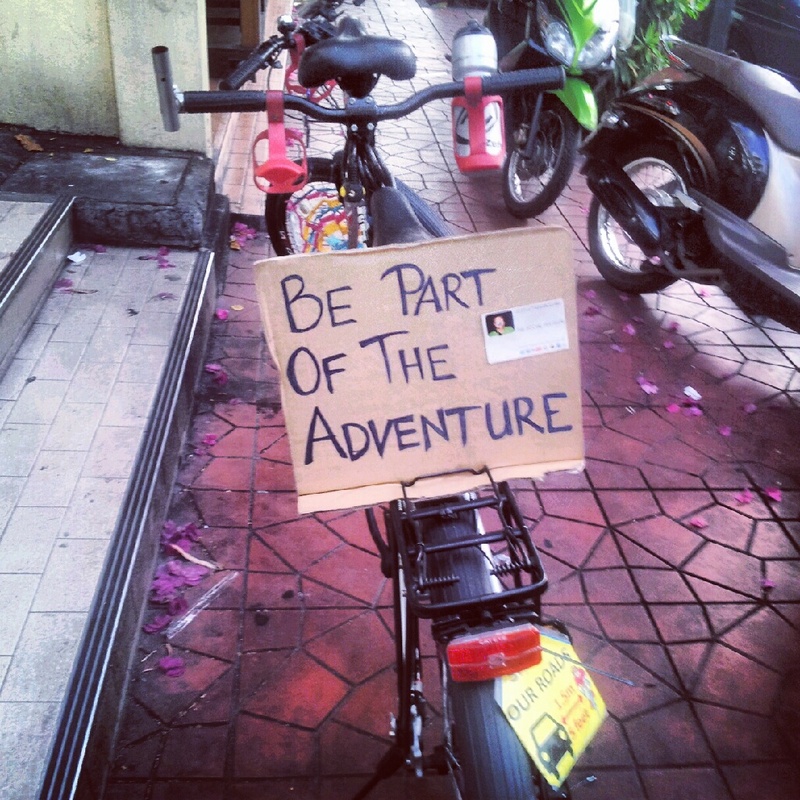 It would be cool to have different cities from around the world being part of this adventure. Background info on my challenges. 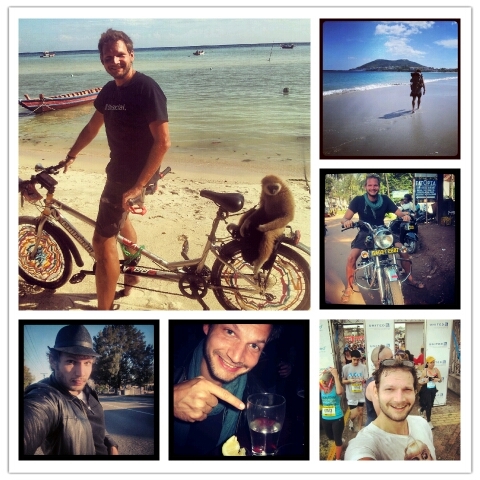 The past 2 years I've been tackling different challenges around the world. I hiked Camino de Santiago (900km) in Spain, Crossed the South of India on a Royal Enfield, Hitchiked around New Zealand, Wasn't alowed alcohol for 40 days in Australia, ran city to surf, the biggest fun run in the world,... Many people told me that I should try to raise money for charity with it. Since helping others is also a very social thing I decided to give it a shot! So this is the first time that I try to raise money for charity and I want to do it as social as possible. 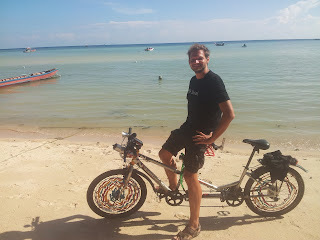 So I asked friends and followers on Facebook, Twitter & Google+ if they knew some small local charities along the trajectory of my tandem adventure. 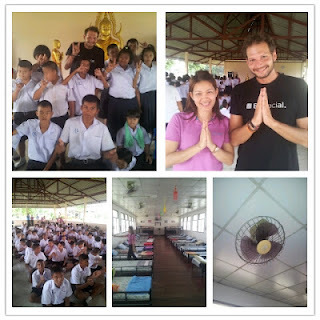 By now I got introduced to charities for Malaysia, Thailand and Cambodia. I still need to find charities for Vietnam & Hong Kong so if you know any do get in touch in the comments below. I made it my goal to visit every charity, stay there for a few days and ask about a specific problem, project they need help for. Per project I'll try to get the money together. When that project is finished I want to start another one with them. Like this people that donate actually see what exactly happened with their money.